Mr. Walling provides deep expertise in a wide range of electric power systems fields spanning transmission, distribution, and generation, for which he is well recognized across the industry. He provides the benefits of his broad experience and unique capabilities to identify and clarify the interactions between technologies, economic and business considerations, and the role of standards and regulations. His technical depth lies in a number of diverse technical areas and disciplines, including HVDC and FACTS transmission systems, distributed generation, geomagnetic disturbance impacts, renewable generation integration, distribution grid modernization, renewable generation interconnection and plant design, electromagnetic transients, insulation coordination, and power quality. Elected in 2004 as a Fellow of the Institution of Electrical and Electronic Engineers, an honor limited to one-tenth of one percent of the IEEE membership. Recipient of the IEEE’s Excellence in Distribution Award for 2009. IEEE PES Prize Paper Award for 1995. At GE, Mr. Walling held a progression of roles, culminating in the position of director. In this role, he was responsible for defining client needs and guiding technical investigations, research projects, and client engineering support across a wide range of power system technical areas, focusing on transmission and distribution systems as well as renewable generation. His broad expertise in the areas of system interactions and equipment performance were applied to solving power system problems for GE Energy Consulting’s clients and developing new applications for advanced apparatus and systems technology. Mr. Walling has directed major studies related to the integration of variable (renewable) generation resources into bulk power systems, including a pioneering study of ancillary services required to support large-scale wind integration into the ERCOT market. He has also directed technical studies and provided consultation related to renewable generation plant design and grid interconnection. The focus of this work has been on collection system optimization, grounding, insulation coordination, protection, harmonics, and transient performance. He was a co-developer of GE Energy’s unique wind plant voltage and reactive power control system. Mr. Walling was heavily involved in the technical and policy issues related to interconnection of distributed generation. He had a leading role in major research activities for the US DoE related to the integration of distributed generation into the power grid, and the impact these resources have on the existing power distribution and transmission systems. 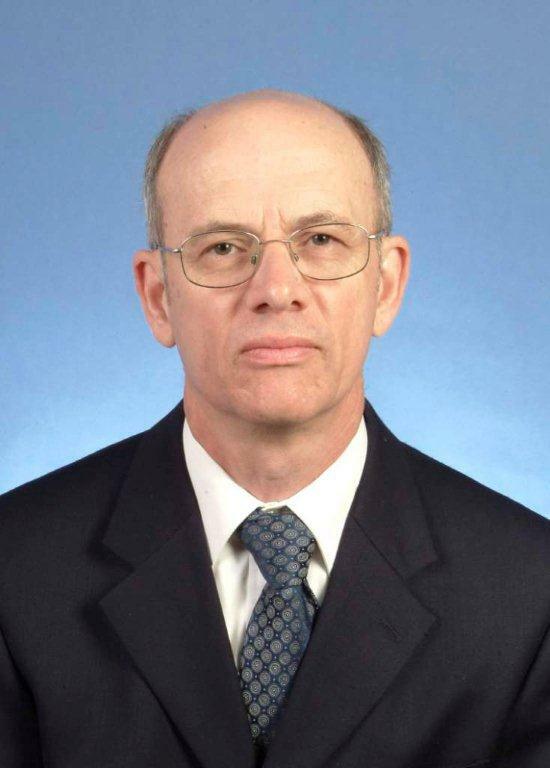 He had key positions in the development of industry standards related to distributed generation interconnection as a member of the IEEE 1547 standard writing group, and as chair of the IEEE Power and Energy Society Working Group on Distributed Generation. From 1997 to 2002, Mr. Walling was the program manager for DSTAR (Distribution Systems Testing, Application, and Research), which is a consortium utilities jointly funding distribution systems research. He has performed extensive investigations of distribution equipment application issues, leading many DSTAR research projects since 1991, and has directed development of significant software tools to aid distribution engineering. Mr. Walling has over 30 years’ experience in HVDC transmission systems, including both conventional thyristor-based HVDC and the more recent voltage-source converter HVDC systems. He served in the role of Utility’s Engineer for several HVDC transmission system and FACTS projects, while at GE Energy Consulting. In this role, he was responsible for developing the specifications, reviewing system vendor designs and studies, and monitoring commissioning activities. He performed this Utility’s Engineer role for the Cross-Sound HVDC Cable system, the first merchant HVDC project in North America, and the Neptune HVDC system. He also was the Utility’s Engineer for several FACTS projects. His earlier work in HVDC, when GE was a system vendor, was focused on system simulation, control design, and ac-HVDC system interactions. For several years, he directed GE's HVDC simulator facility and was responsible for the simulation studies supporting several HVDC projects. He has particular expertise in higher-frequency and harmonic interactions between ac and dc systems, as well as HVDC inner-loop control performance. Mr. Walling has performed extensive research for EPRI on the control of ac overvoltages during HVDC system disturbances, and for a major overseas utility on the complex issue of HVDC core saturation instability. He authored several chapters of the EPRI HVDC Handbook, and was the instructor for GE’s Power Electronics Applications in Transmission course for many years, covering both HVDC and FACTS technologies. Mr. Walling is thoroughly experienced in digital modeling and analysis of power system electromagnetic transients, with over 30 years of working experience. He has applied this expertise to a wide variety of complex power system problems including switching transients, lightning performance, ac-dc interaction, and the interaction between transformer saturation and systems. Mr. Walling’s early work at GE focused on transients and the interactions between equipment and the power system, with particular emphasis on interactions involving transformer saturation. His pioneering research, based on extensive full-scale testing, was responsible for reshaping the industry’s understanding of distribution transformer ferroresonant overvoltages and the impact of these overvoltages on metal-oxide arresters. Mr. Walling was employed by Minnesota Power in the Operations and System Planning Departments where he performed transient stability, power flow, and electromagnetic transient studies to analyze system expansion plans, investigate failures, and coordinate system control and protection requirements. As a commissioned officer in the US Navy’s Civil Engineer Corps, Mr. Walling was involved in the construction and maintenance of shore facilities. He was directly involved in the operation of Guam’s island-wide power system, which supplied both military facilities and the civilian population of approximately 100,000. He was also the facilities manager for a naval base, responsible for a workforce of eighty employees. Mr. Walling is a registered Professional Engineer in the State of Minnesota. Working groups for the IEEE 1547 series of standards. Co-chair of the Joint Working Group on Wind Plant Short Circuit Contribution and member of the Integration of Renewable Energy into the Transmission and Distribution Grids Subcommittee and the Wind Plant Collector Design Working Group. Member of the Distribution Subcommittee, and the Smart Distribution Working Group, and the Volt-VAR Control Task Force. Mr. Walling has authored ninety technical papers and articles presented at IEEE, CIGRE Symposium, American Power Conference, and other conferences. He has been awarded thirteen U.S. patents for power system inventions. For a complete listing of publications, please follow this link.